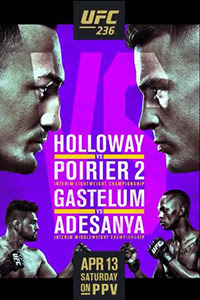 After a quiet week without any UFC action, the biggest promotion in the world is roaring back with this weekend’s UFC 236 event. This card features two interim championship battles at the top, but beyond that, there aren't a lot of fights that jump off the page. 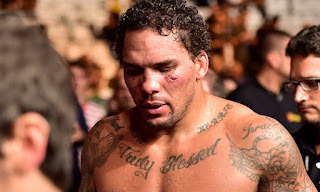 There is, however, a somewhat intriguing bout between Eryk Anders and Khalil Rountree, as both men are seeking to secure places of relevance within the light heavyweight division. Rountree and Anders both have a way to go before they are even considered gatekeepers, but their placement on the pay-per-view main card tells us that the UFC expects some type of big action from two men that have combined for 13 finishes in 18 professional fights. 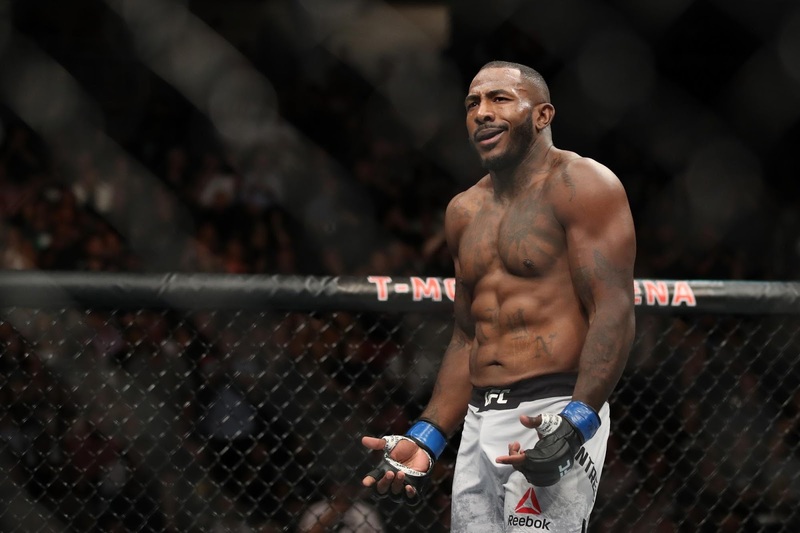 Exciting bouts are important, both to an organization looking to continue to market itself to new fans, and to fighters battling for elusive performance bonuses, even if this bout is a risky move for both men at this point in their careers. First, there’s Anders. At UFC Fight Night 125 he and Lyoto Machida fought to a close decision for five rounds, and even though Machida walked out of the Octagon with the split decision win, there was a large contingent of people that believed Anders did enough to get the nod. That middleweight bout could have been a launching point for stardom in the career of the former college football standout, especially after his win over Tim Williams at UFC Fight Night 135 his next time out. However, that was not to be. Coming off of the Williams win, Anders decided to step in on short notice to face Thiago Santos in the main event of UFC Fight Night 135. It was a bold move, but jumping up a weight class against a top contender in Santos proved too difficult, and the TKO loss brought a halt to his momentum. Anders suffered another defeat in his return to middleweight, this time a split decision loss against Elias Theodorou at UFC 231. Now, if Anders drops another fight, he could find himself on the way out of the UFC on a three-fight losing streak. Rountree, on the other hand, isn't in as dire of a situation, but he also has been unable to gather momentum during his UFC tenure. After starting with two straight losses, he turned things around with two wins before suffering a decision loss to Michael Oleksiejczuk that was later overturned due to his opponent testing positive for a banned substance. His loss to Johnny Walker at UFC Fight Night 140 was bad, but it was more indicative of Walker’s rise than anything else. Nevertheless, with an Octagon record of 3-3 with one No Contest, here’s still space for him in the UFC light heavyweight division, but he must show a growth in skills in future fights if he wants to make an impact. That's why this fight between Rountree and Anders is so important. Here we have two individuals who are looking to remain relevant at light heavyweight and who need to secure the win on Saturday night. It’s clear that both men have knockout power – which is what fans and promoters want to see displayed – but with so much on the line (more for Anders than Rountree), it's worth considering the possibility that this fight will not look the way fans and promoters hope. It will be interesting to see whether Anders institutes some type of wrestling game to score takedowns and control rounds. Even though he has experience fighting five rounds, he has struggled with his gas tank at 185 pounds. Things may be different going up a weight class, however, as Rountree isn’t a wrestler and has found himself fighting off his back multiple times in the Octagon. This fight between Eryk Anders and Khalil Rountree may be pitched to fans as a light heavyweight affair that will feature two men throwing dynamic punches, but the reality is that there are career implications for both men this Saturday night at UFC 236. No one should be shocked if these fighters compete in a different way, with the goal of winning and taking a step toward getting ranked at 205 pounds. However, there's no denying that the promotion usually makes it worth a fighter's while to throw caution to the wind, and risk their lights getting turned out. For two men struggling to make their marks in the Octagon, that has to be a consideration as well.